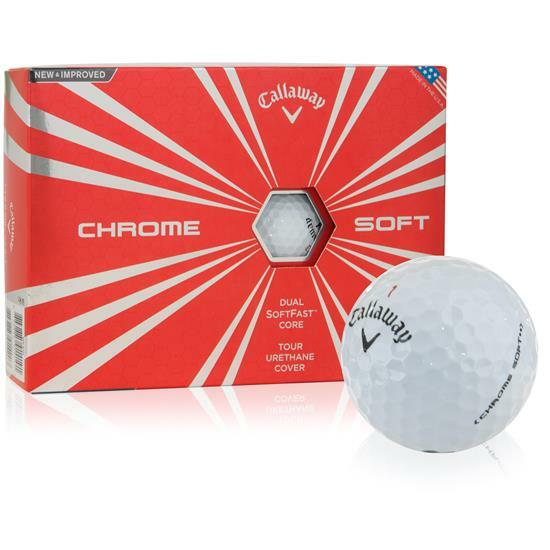 Find outstanding performance off any club with the 2016 Callaway Golf Chrome Soft Golf Balls. These four-piece balls deliver enhanced feel with exceptional speed and optimized spin on both long and short shots, giving you the best play all game long. `I'v tried the new generation balls and did not care for the ball. the feel and the distance were so far off. the difference between the 4 piece and the 3 piece are conciderabel to my game. if you can find the old, buy them. Prompt, efficient service and delivery. Great product. Custom logo came out perfect. Great place to do business. New golf balls with corporate logo were perfect. I have been buying balls from Golfballs.com for 4 or 5 years now and have always been 100% satisfied. I always have the ID-align with my initials added to the balls. 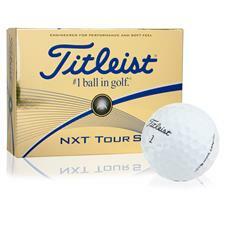 With these last ones however, my initals were not legible and I notified Golfballs.com and sent pictures. They allowed me to return them and made me 3 more dozen. The remade ones were also not legible and I notified Golfballs.com again. I agreed to keep the balls but they made no concession or offer to correct them again like it's my problem, not theirs. Not the service I would have expected. I may or may not purchase from Golfballs.com again.